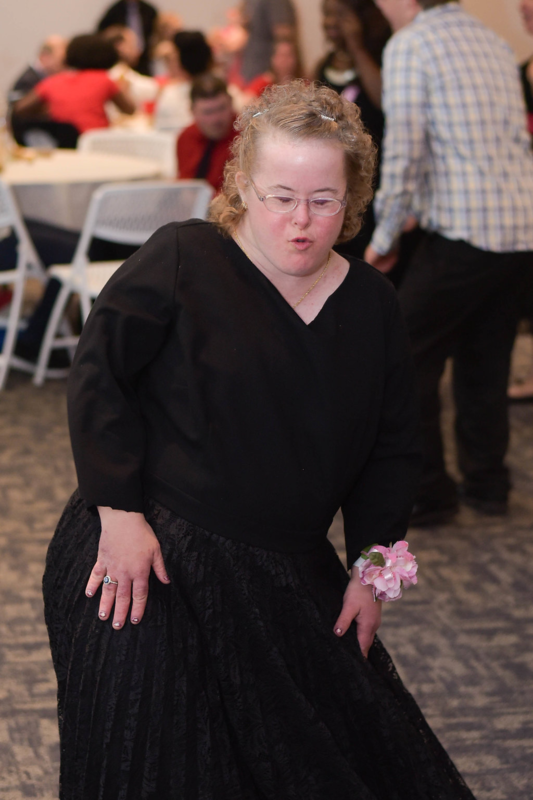 More than 122 adults in Devereux New York’s care and staff, plus nearly 20 volunteers, attended the behavioral healthcare provider’s recent “Self-Advocate Gala” in Hyde Park, N.Y.
During the Gala, attendees listened to festive music, enjoyed dinner and desserts, and danced the night away. The gala was coordinated by the organization’s “Adult Self-Advocacy Group,” which helps adults diagnosed with emotional, behavioral and cognitive differences feel empowered by their hard work and proud of their accomplishments. 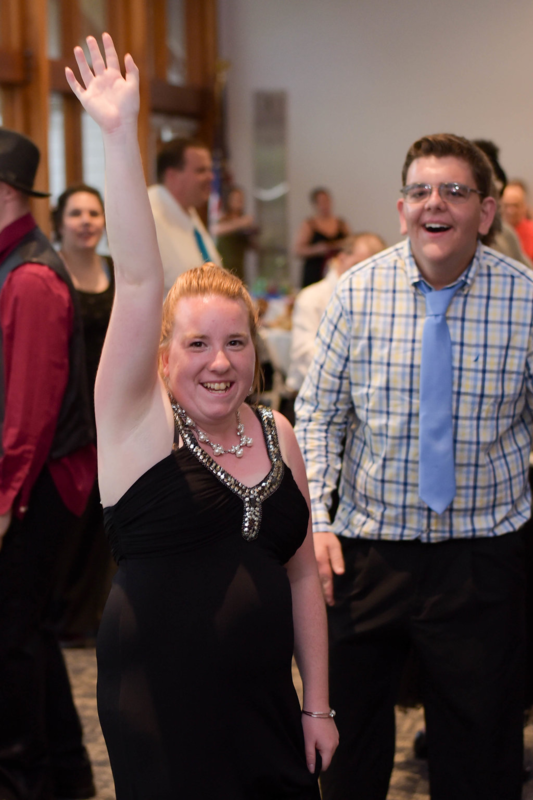 This summer, Devereux New York held its first “Self-Advocate Gala” for adults served by the nonprofit behavioral healthcare provider. 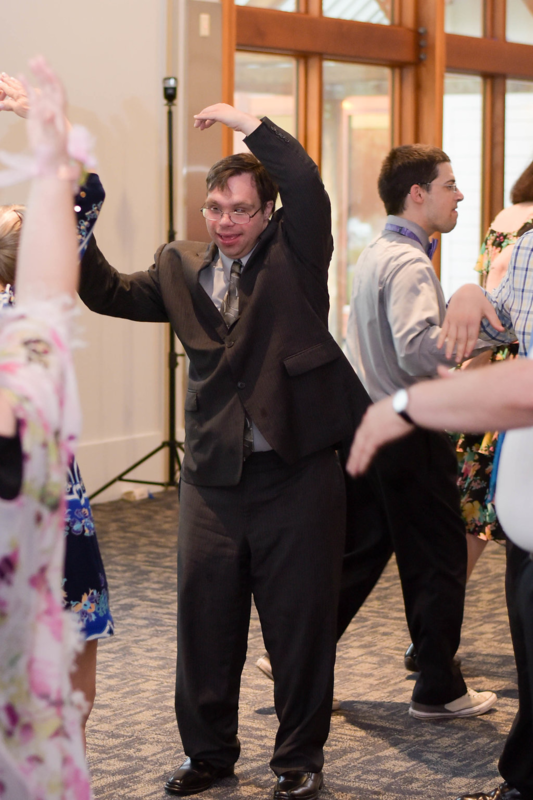 The twist: The gala was coordinated entirely by the organization’s “Adult Self-Advocacy Group.” The group helps adults – diagnosed with emotional, behavioral and cognitive differences – feel empowered by their hard work and proud of their accomplishments. Team members meet on a monthly basis and focus on sharing information about living healthier lifestyles and participating in state-wide advocacy events and learning experiences. More than 122 adults in Devereux’s care and staff, plus nearly 20 volunteers, participated in the gala, held at the Henry A. Wallace Visitor and Educational Center at the FDR Presidential Library and Museum in Hyde Park, N.Y. With the theme: “Around the World,” decorations (created by the Self-Advocacy Group and staff) included flags from various countries and origami cranes. A huge “thank you!” to our outstanding community partners and friends who helped make this event a rousing success. We couldn’t have done it without you!